A lovely cool Autumn day here in Kansas and our coolest yet. Not sure if it made it down to the 30s, I never saw that. 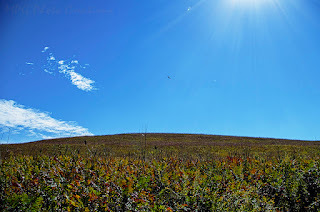 My image for today goes back to last weekend and a trip out to Konza Prairie to view the prairie in Autumn and the colors were beginning to show. 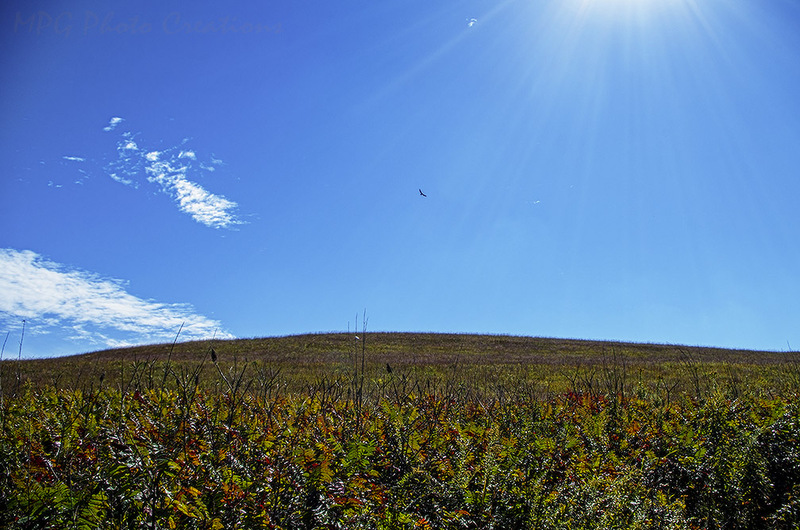 This is a view of Butterfly Hill which gets it's name from the Butterfly Milkweed that turns the hill mostly orange in June. This day the Sumac was showing it's Autumn red color in the foreground and a Turkey Buzzard was gliding on the thermals in the background. Best viewed large by clicking on the image.